It’s shocking how many companies end the year without reviewing progress against goals, or with merit increases completely divorced from actual goal attainment. No wonder we have employees with entitlement issues. 1. Job Basics: What are the key parts of the role that must be performed well? Make clear linkages to customer, strategic and financial outcomes. 2. Projects: What are the main initiatives that must be accomplished above and beyond daily duties? what does success look like? 3. Stretch: Where can this person push the envelope? 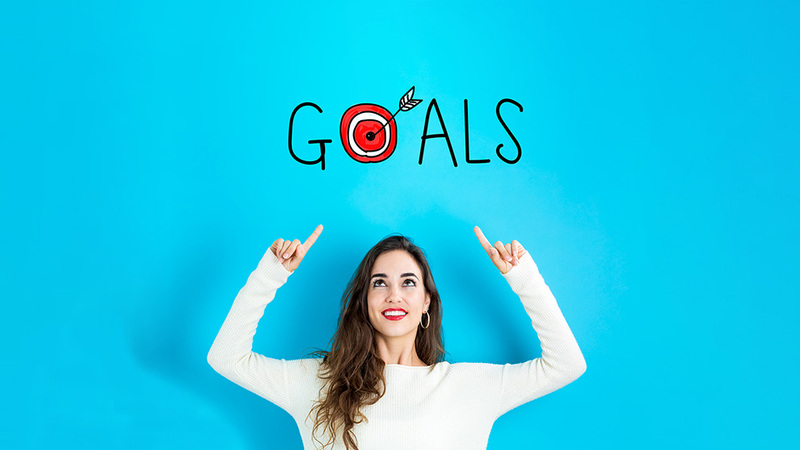 Ken Kerr, CIO of The Salvation Army calls this “Thinking BIG.” Apply stretch targets to job basics and project goals, or create lateral goals to connect them with new experiences and different areas of the business. Stretch goals can deepen or broaden skills. 4. Development: What new skills are required for the future? Tie educational goals to strategy and hold the individual accountable for applying what they learn in tangible ways. Stretch goals may accomplish development goals as well. Don’t feel you have to repeat or overlap these goals. A. To reach a target, you need a goal you can visualize. Make goals measurable and observable. If I can observe it, I can visualize it. Without a clear visual goal, employees are left to guess at what to do, can easily get off track, and may prioritize work incorrectly resulting in a ton of wasted effort. B. Employee involvement in the goal-setting process drives higher performance. Buy-in matters. Ownership motivates action. C. Match goals to capacity. The more goals you set, the less likely an employee is to accomplish them all well. Split focus reduces performance. It’s the downside of multi-tasking applied on a bigger scale. You can always add goals later. D. Feedback is critical. Deliver it often. Show me an athlete without a coach and I’ll show you someone who has not achieved their peak. This is part of your role as leader. Deliver feedback often. Do you need that level of encouragement? That’s what I’m here for.